Are you part of the 80 percent of the 48 million individuals in San Diego and around the country who suffer from hearing loss but don’t use hearing aids? If so, separating hearing aid facts from fiction may help convince you that you have nothing to fear by taking the plunge toward better hearing. Myth: Buying the “best hearing aid” from an audiologist is a waste of money when you can just buy one from a big-box retailer or online. Fact: While it is true that hearing aids are generally less expensive when purchased from a large retailer or online there are some major downfalls. 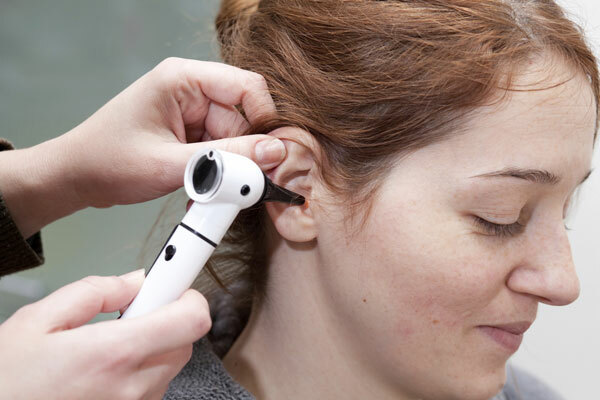 When you visit an audiologist for your hearing healthcare needs they will first perform a series of tests, the results of which are used to determine the best hearing aid for your type and degree of hearing loss. They will then use an extremely sensitive computer in order to program the device to match your specific type of hearing loss. Once the hearing aid is programed, follow-up visits are encouraged. At these visits your audiologist will fine-tune and adjust the device to make sure it is working well and complete any hearing aid repairs. Big box retailers use much simpler machines to program the devices and typically have a one-size-fits-all approach. This means you could be fitted with a device that is not right for your specific type or hearing loss. Myth: The smaller the hearing aid the better. Fact: Hearing aid technology is rapidly evolving. This means that there are some devices on the market that are smaller than ever before, making them practically invisible. This type of hearing device is typically only appropriate for those with mild hearing loss. These small devices often have the shortest battery life and a limited number of additional features. The most common models are behind-the-ear and receiver-in-the-ear. These styles have the most amount of additional features and the longest battery life. Your San Diego audiologist will help you determine the best style for you based on your type and degree of hearing loss. Myth: Hearing aids can actually damage your hearing. Fact: A properly fitted and well maintained hearing aid will not cause any additional damage to your hearing. Don’t let your preconceived fears or what you think you know prevent you from taking steps toward improving your hearing. Contact your local San Diego audiologist to learn how to get started.